Taking challenging classes in high school is a great way to build new skills. And it will serve you well when you get to college, because you’ll be more prepared for the work. In a recent survey of college freshmen, more than half of the students surveyed said that they wish they had worked harder in high school. Challenging classes, such as honors and college-level courses, also help you get into college. They are exactly what admission officers like to see on applications. Advanced Placement (AP) classes are available at all GPS high schools. AP allows high school students to take college-level classes in high school settings culminating in a nationwide exam aligned with college-level content and expectations. Scores on the AP exams demonstrate students’ mastery of the material and can provide college credit or the opportunity to place out of introductory-level courses. 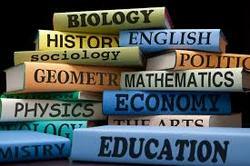 AP subject matter tests include areas in English, calculus, several foreign languages, various sciences, music, and art. Acceptable AP exam scores are determined by the individual post-secondary institutions to which the students are accepted. Typically exam scores of 3 out of 5 must be attained for students to receive college credit for their AP course, but increasingly a 4 or higher is required. Information regarding advanced placement courses and examinations is available from the counseling office of each high school. Students are not required to take an advance placement course to be eligible to take the advanced placement examination; however, students enrolled in AP courses are expected to take the AP exam. AP/Honors classes are not available to homebound students. ​For more information see the Guidance and Counseling office or please visit www.apcentral.collegeboard.com. COLLABORATIVE CREDIT is earned when a high school student takes a college class at a community college or university. The student earns college credit and is seeking to have the college class listed on his/her high school transcript as a high school credit, as well. Information regarding alternative credits, i.e., online instruction, collaborative credit, and summer school may be obtained through the school’s Guidance and Counseling Department. High school credit may be granted to students who satisfactorily complete college courses. ​Students must complete a collaborative credit form and secure permission from the administrator in charge of registration prior to taking the college course if they wish to receive high school credit. District Guidelines for specific collaborative credit information are list below. Maricopa Community Colleges and Gilbert Public Schools have designed a cooperative program that allows students to earn both high school and college credits. These classes are held on the high school campus as part of the regular school day. Dual credit classes will only be offered if a qualified teacher is available. If students are to receive community college credit, they must pay community college tuition. They may also need to pass the AccuPlacer test. The registration and tuition payment process will be handled in the individual courses. Upon successful completion of these courses, students may transfer the credits to other colleges or universities. In-state universities accept all credits. Students should check transferability of their courses to in-state universities by visiting az.transfer.org/cas/students/index.html. Acceptance and applicability of transfer credits by out-of-state universities varies by institution. 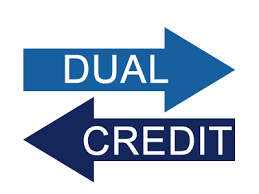 Courses, which may be offered for community college credit, are noted in the description of each course and are noted as “dual credit”. S/U grade option will not be allowed for these courses. ​The high school honors curriculum is designed to provide academic acceleration and enrichment for the ambitious student. Placement may be based on a predetermined score on a District-approved test administered periodically throughout the school year. It is recommended that students maintain a “C” or better to continue in the honors sequence. Students who have not participated in the honors program at the junior high school level will need to qualify for the high school program. Courses that have weighted grades are indicated in the description of the course. Weighted grades are assigned to classes that are significantly more rigorous and provide students with multiple opportunities to take greater ownership of their learning. 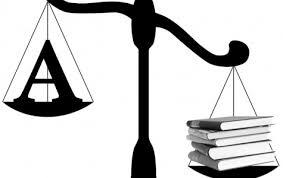 Grades in these courses are weighted as follows: A = 5.0, B = 4.0, C = 3.0. Grades of “D” are not weighted. Please be aware that Arizona Universities and many others will unweight these grades.